The Chinese Stock Exchange has been making headlines around the world as we head into 2016. Pedro Nueno, IESE Professor of Entrepreneurship and President of the China Europe International Business School (CEIBS), shares his thoughts on what’s causing the turbulence; and on what the outlook for China’s economy might be. PODCAST | Should we be worried about China? PODCAST | BCE 0.0%: Money For Nothing? 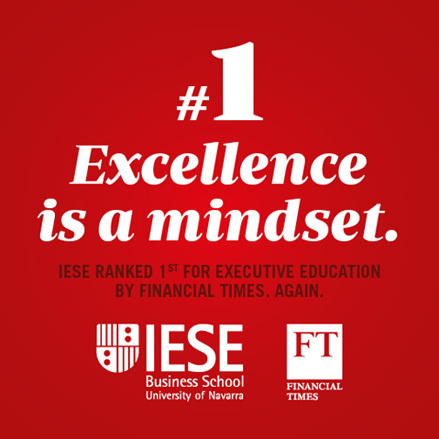 Pedro Nueno is Professor in the Department of Entrepreneurship, IESE and Professor and President, CEIBS (Shanghai, Beijing). His areas of specialization include entrepreneurship; intrapreneurship and starting new ventures; management of technology and innovation: management of privatization and turnaround processes; industrial alliances; joint-ventures and acquisitions; industrial procurement, and supply-chain management. He holds the Bertran Foundation Chair of Entrepreneurship at IESE and the Chengwei Ventures Chair on Entrepreneurship at CEIBS. Mas porque está turbulência? então isso em plica com Brasil Também? The china market was in bubble category that is deflating now. The volatility is very high for normal investor to tolerate. I have found trading systems can only help us from such excesses because of human herding behavior. Good insights! For entrepreneurs in China, there is a lack of tradition of family business in China. Thus entrepreneurs do not follow up with their company they built and sell it in order to re-invest in other business alternatives- e.g. real estate.